When you’re in the API business, marketing can be tricky. Your product is built for developers, but they may not always be the decision makers. To make the sale, you often have to win over a whole organization. That means getting all key stakeholders (not just developers) to try your product. At Clearbit, we've found that the best way for people to try us out has not been directly through our API—it's been by giving away free tools that show what's possible. Heads up - this is a long one. We'll dive deep into exactly how we use free products to drive inbound leads, and talk through the results as well as the strategy and tactics. TLDR: Building free products that showcase what our product can do has been our single largest source of inbound leads for our paid products. We've driven 100K inbound leads and closed deals with some of our biggest customers through our free APIs and browser extensions. They have been our single biggest traffic driver and we've learned a ton about marketing with tools as a result. Give users an immediate payoff — it should take seconds for them to understand why your product is great. Make your tool relevant to your core business. Your goal is to turn the people using your free tool into customers. The common denominator here is the user experience — for a tool to be useful, it needs to quickly show value to whoever's using it. It needs to demonstrate what's special about the product you've built, and it should inspire people to try it out. Pull that off, and you'll have something way more powerful than a marketing asset for getting and keeping customers. Here's how we and a few other teams have done it successfully. API products tend to take awhile for customers to get value out of them. They have to be integrated into applications by engineers whose time is scarce and expensive. That massively bottlenecks adoption and makes it harder to get your foot in the door with customers. When we launched our Logo API, a simple API for putting company logos into your website or app, we focused on making sure that it was so simple to use that anyone could get immediate gratification from it. In June 2015, we launched the Logo API and it drove over 60,000 page views in the first week with companies like Buzzsumo, Inbound.org, and Oracle integrating the Logo API into their products. We made the front page of Hacker News and Product Hunt, as well as coverage from The Next Web and a few other tech blogs. You don't have to sign up for anything, you don’t have to read any API docs, and you don’t need to know how to code beyond basic HTML. Zero friction - immediate benefit. The twist is that even though our Logo API is only a “toy”, it’s built on top of our fully-featured Enrichment API. Once the customer has gotten immediate gratification from the Logo API, they’re more likely to consider a deeper integration with our Company API. Reward users with instant gratification: The ratio of benefit to work is incredibly high, which is your wedge into getting integration into your customer. Not even requiring sign up makes the product feel that much more simple to use. Simplicity broadens the funnel: By making the Logo API only do one thing, product people, designers, and marketers can use it, not only engineers. APIs have a particularly tough marketing challenge in that the product can have a ton of varying use cases. You need different messaging to multiple customer segments each with their own use cases and needs. With our Autocomplete API, we’re able to showcase a specific, often-overlooked way to use Clearbit: by using data to shorten user onboarding. Enter partial company data in a sign-up form, and the Autocomplete API will return full company data including the company name, domain and logo. And rather than just talk about the use case or describe it with a blog post, the Autocomplete API makes it easy for people to actually implement. While the Autocomplete API is useful in itself, what makes it work as marketing is in how it inspires customers to think about how they could practically and creatively use Clearbit data to improve all aspects of the user experience. Our Autocomplete API shows, in real-time, our dataset and the information we have on millions of companies. It’s only a taste, but it demonstrates that from just a partial name, Clearbit can return valuable company data reliably and instantly. It’s helping cement our core value proposition in the minds of potential customers. The value of the tool draws people in initially, gets us on Hacker News and that bump in page views. But it’s the relationship of the tool’s value with our core value that will help people learn about Clearbit, and eventually convert. 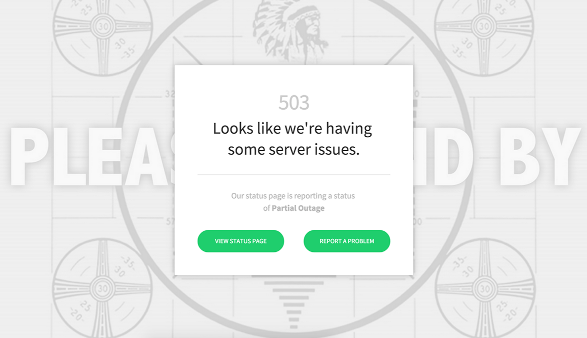 Downtime communication tool StatusPage experimented with side project Better Error Pages to show their core value. Their main product, hosted status pages, is all about communicating effectively with your customers when things go wrong. Better Error Pages follows this path, offering users an easy way to generate 404 and 503 pages that give helpful information, rather than being just a dead end. This ticks all the boxes for a free tool that perfectly complements the main product, but with little overlap. It shows businesses how communication can be done, and starts to open their eyes to areas where they could still be communicating with their customers better, such as their status page. Show off one concrete use case: Err on the side of making a specific free tool that nails down a very specific use case. Even if a prospect doesn’t need help with that particular use case, the specificity will help the prospect envision how they could use the API. Minimize overlap with your main features: Show the core value, but don’t give it away for free. That’s what will drive the upsell. There’s no better marketing than building an incredibly useful and valuable tool that people use every day, and then giving it away for free. That generates an insane amount of brand awareness, which makes your company the most visible provider of the underlying data. Passing sensitive information such as credit card numbers around the web securely is extremely difficult. Sharelock by authentication service Auth0 allows people to share data securely and easily, by encrypting data within a URL that can then be shared and only unencrypted by specific people. The app serves a particular need for a wide audience, but it’s particularly helpful for businesses, who are Auth0’s target audience. Sharelock generates leads not only by email capture, but also by generating a more positive opinion of the company. 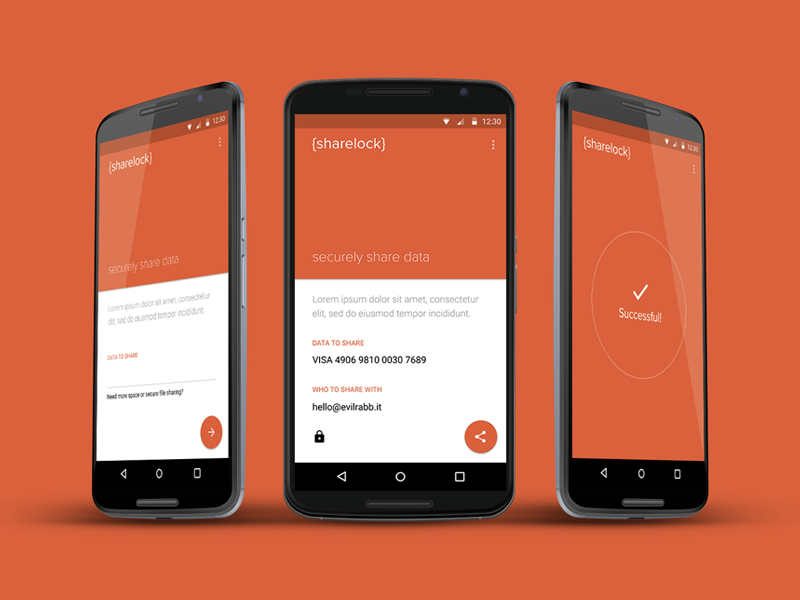 Sharelock users get used to the reliability and security of the free app, and this transfers to Auth0. This makes it more likely that these potential customers will sign up for the main products. We launched Clearbit Connect two months ago, and we now have 30,000 users. Users at great companies like Salesforce, Dropbox, Uber, and Square that are using it every day, and seeing our data every time they write an email. Connect is a Gmail extension gives anyone who installs it instant access to enriched information about contacts within Gmail. It also let's you find just about anyones email address. Because Connect is a full app, not just an API, it generated consumer adoption far beyond our usual developer audience. The app is especially useful for salespeople, a target customer of ours for our paid products integrations. When salespeople receive an email from a prospect, Connect helps them do their research in seconds. On the flip side, when prospecting, Connect helps them find almost anyones email address in seconds. Over time, that means that salespeople know Clearbit for its reliable and comprehensive data. It acts as a demo of our APIs, and prompts the question, "Why don't I have this data in my other systems?" We now have a primed inbound lead who is ready to buy one of our CRM or marketing automation integrations. Create an app based on your API: You demonstrate your API running in a production-grade environment and expose your product to a broader audience. Target a habitual use case for your app: When people rely on your app on a daily basis, you build an incredibly strong connection with the user that’s hard to replicate with conventional marketing. These tools showcasing our APIs are a specific developer-centric case of engineering as marketing. Coined by Gabriel Weinberg and Justin Mares in their book, Traction, engineering as marketing is about one thing: providing valuable tools to prospective customers. When you do this you get stronger leads and increased awareness of your brand and product. This is what we’re trying to do with our free tools. Dharmesh Shah, Co-founder and CTO of HubSpot sees these tools as “marketing assets with ongoing returns.” HubSpot’s free tool, Website Grader, has been used on 3 million sites. Nine years after launch, it still contributes a significant amount of leads for HubSpot. These are not one-time boosts such as ads. Instead they provide value to your audience and build long-term awareness of who you are. It’s great to get those big bumps in traffic from Product Hunt, Hacker News, and TechCrunch, but what we really want from these products is for people to use them and get real value from them. This is our single most effective marketing technique (by far) and has driven more inbound than anything else we've done to date. It has also led to a surprising amount of inbound from large enterprise customers, especially around our pre-built integrations. This technique may not be for everyone, but if you're selling an API or highly technical product, it's definitely worth a try.